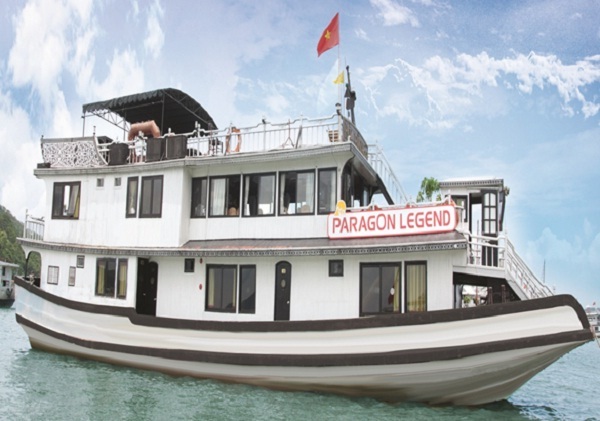 Setting sail along the beautiful Halong Bay, Paragon Cruise features luxury facilities like a boutique hotel on sea and beautifully decorated furnished cabins offering sea views as well as canoeing and kayaking activities to bring you an utmost comfortable and a memorial stay. 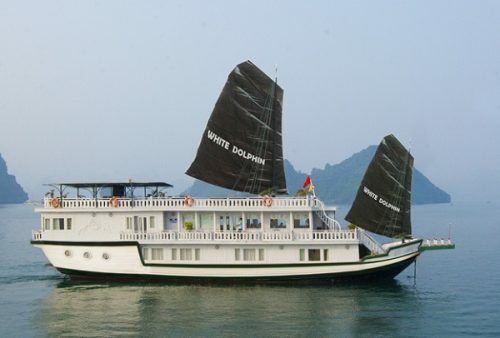 Being one of the most novel cruises in Halong bay with a spacious sun terrace available on-board, this elegant cruise is claimed to be in the mid- range budget and to be one of the most suitable choices for people who are looking for a comparative price but guarantee also about the services’ quality. 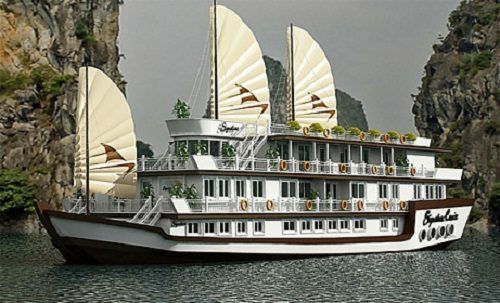 For your dining time, this cruise offers a stunning spread of Asian and international buffets on-board to meet the food demands of all kinds of guests. 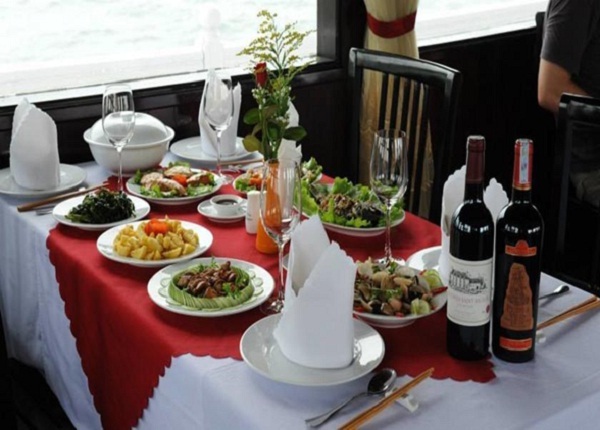 Besides the stunning restaurant, an on-site bar serving refreshing cocktails and a wide range of wines and beers also promises to bring you the best culinary experience. 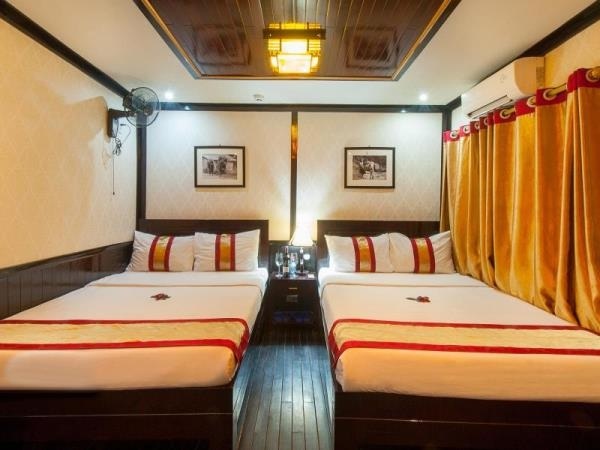 All rooms are individually decorated and offer free wireless Internet access and free newspapers together with the other amenities such as video-game consoles, and hair dryers. 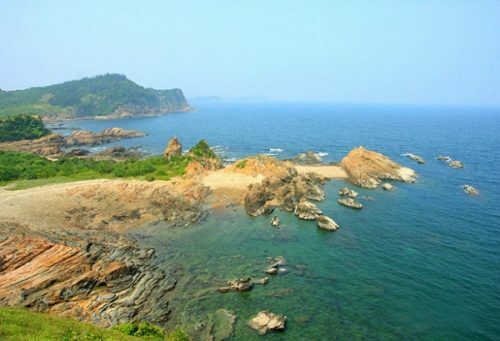 When travelling on this cruise, you will have a chance to admire the scenery of beautiful Vietnamese farms, towns, the daily life activities of the local as well as the spectacular scenery of thousands interesting islands, amazing color of sky, and color of the sea while enjoying the fresh sea food at lunch. 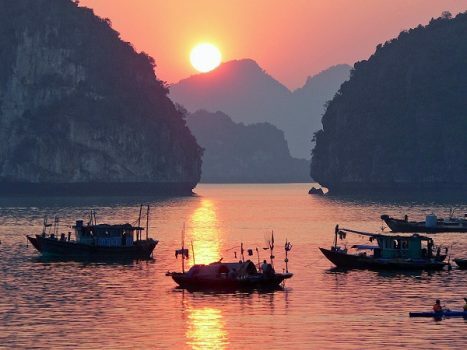 With many years experience in providing all guests with the highest-quality services during their trips to Halong Bay, the Indochina Voyages is proud to make you an unforgettable memory exploring the beauty of Halong Bay. 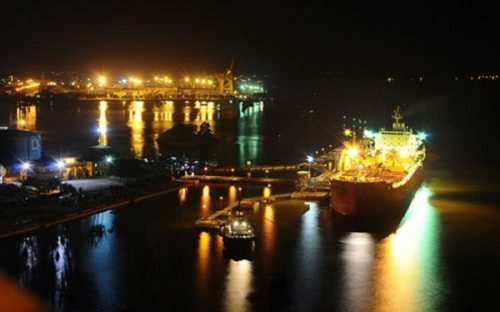 Choose us as your perfect partner.